Type D: Anatomic Waste This waste type requires special treatment, not primarily in order to prevent infections, but rather for ethical reasons. Medical and clinical waste is based on the establishment of the collection of waste in each catchment area and disposal at the inter-municipal landfill at the particular landfill cell designated for disposal of said waste. Human tissue shall be disposed of at the local cemetery. 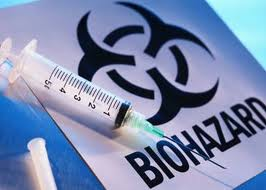 Often, long-term solution for medical and clinical waste is incineration of healthcare waste in a hazardous waste incinerator established as a part of a Hazardous Waste Management System. The issue of expired medicines and outdated pesticides is a problem for most developing countries. According to available data, there is as much as 100 tonnes of expired medicines that represent an expensive and difficult disposal solution. Government must develop a Regulation on Elimination of Useless Medicines, to manage the issue of their disposal. At present, the import of expired medicines in the Republic is strictly controlled and the issue of their elimination remains unresolved. In many developing countries stricter Regulated medical waste (RMW) disposal laws and regulations have been developed, and sensitivity regarding the proper management and disposal of RMW has increased since it has in the past been common practice to co-mingle medical waste with ordinary MSW for consignment to landfill without any form of treatment. Public sensitivity and a large body of laws and regulations have shaped the regulated medical waste program. The EU prescribed Environmental Protection Agency regulations aimed at reducing hospital incinerator emissions, and regulations governing the transport of RMW, will contribute to additional growth in the medical waste management industry, and influence RMW disposal into the 21st century. The principal source of clinical waste includes hospitals, health centres, veterinary surgeries, dental surgeries, GP surgeries, blood transfusion centres, public health laboratories and research and teaching establishments. Some clinical wastes are globally classified as Special Wastes and the reduction of clinical waste arisings through the re-use of some materials is possible, providing the equipment can be sterilised without difficulty. Clinical waste may also be reduced by pre-treatment to alter the state of the waste so that it is no longer defined as clinical waste which increases the range of final disposal options. Each of these materials requires a different type of treatment to destroy pathogens or disease-causing organisms prior to disposal at an authorized solid waste management facility. 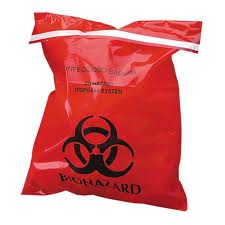 All clinical wastes should be treated and made safe prior to disposal. 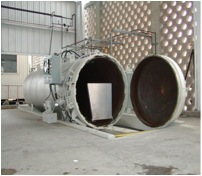 The treatment options include, depending on the waste type, through autoclaving, incineration, or with an alternative treatment technology (e.g., microwave, chemical disinfection, electro-thermal and steam-thermal inactivation), chemical treatment, irradiation or encapsulation, or the combination of these processes approved by the national regulatory authority. 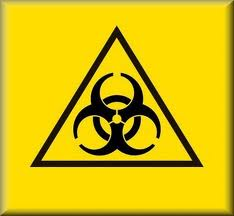 Modern clinical waste incinerators may also be licensed to handle certain types of low-risk non-infectious clinical wastes. Anatomical and special waste streams are normally incinerated, with low-risk material and sharps being landfilled after heat treatment and maceration. There is often a need for complete treatment plants, each capable of treating and rendering safe and inert some 3,000 tons per annum equivalent to an average 60 tons per week for each plant. The preferred method of disposal is the autoclave that shall operate at 160°C (320°F) for a period of 60 minutes at a pressure of 3 bar.g. The actual residence time within the autoclave is a total of 90 minutes. Once treated, the RMW has been size reduced by a factor of 6:1 or 15% of its original volume (not weight) and converted largely into a cellulosic fibre. 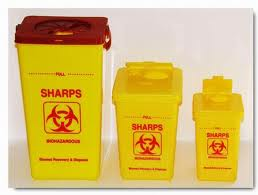 Sharps and instruments will have been sterilised and sanitised. Dependent upon operating regimes the instruments can be recovered for reuse, alternatively the entire treated material is passed through a high-grade shredder that reduces all sharps and instruments to pieces not exceeding 5mm in size. The shredded material can then safely disposed of to landfill or can be segregated and as cellulose used as a fuel to generate electricity. The Process: All medical waste arrives bagged at the disposal plant. Via conveyor the bagged waste is loaded into the autoclave automatically and there is no manual handling of the waste stream. 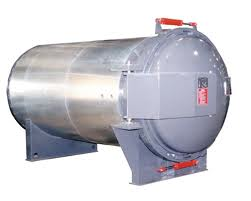 Dependent upon load sizes the two-tonne capacity autoclave will be completely filled. It can operate just as efficiently on part loads. The autoclave door is closed and sealed and steam that has been continuously being made and stored passes from the steam accumulator through a series of pressure reduction valves and is delivered through the vessel’s steam inlet valve at a temperature of 160°C (320°F) and the pressure within the autoclave will be increased to 3 bar.g. The vessel rotates at 6 revolutions per minute and maintains the treatment cycle for a full sixty minutes. It should be noted that after the door of the pressure vessel is closed the steam is injected over a period of approximately fifteen minutes. The actual treatment time is sixty minutes and there is a period of approximately another 15 minutes during which time the vessel is depressurised. It is during this part of the cycle that the condensate is removed from the autoclave and contained within condensate pressure vessels. 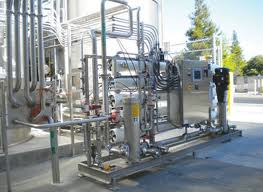 Any rinse water from the conveyors, floors and reception area is all collected and mixed with the condensate and is passed through a clarifier that removes any particles in suspension. The clarified water has been rendered absolutely safe and it can safely be discharged to wastewater treatment works. The treated material is identical to autoclave treated municipal solid waste and can be safely bagged and despatched to landfill for disposal. It is difficult to be absolutely precise as to costing since the proposed locations for this treatment system have not been inspected. As a broad guide the cost of providing a fleet of specialist collection vehicles and to construct a specialist treatment and disposal system for the City of Belgrade would be €2 million. However, it is important that a national RMW processing facility should be provided as the situation and methods of disposal of RMW throughout Serbia are not compliant to accepted EU standards. Such a facility would have to process 80,000 tonnes of RMW that is generated annually. Such a facility would be situated adjacent to the proposed MSW process and treatment plant and would have the benefit of being near to the new sanitary landfill that is to be constructed. RCR uses its own process patented technology which is also applied to the treatment of municipal solid waste where it size reduces, sanitises all unsorted non source segregated wastes to produce a biomass cellulosic fibre and clean recyclables that are free from food deposits, labels, markings and can be recovered for recycling and reuse.